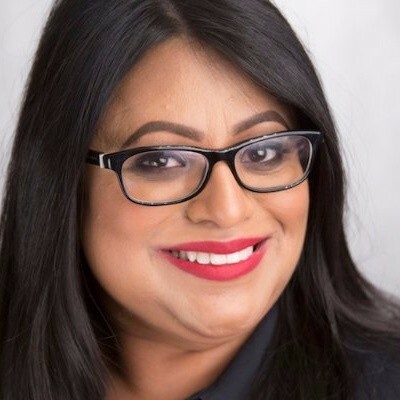 Farrah Qureshi is the CEO of Global Diversity Practice Ltd. She is recognised as one of the foremost experts on Global Diversity and Inclusion Consultancy and training. Farrah has successfully delivered, designed, managed and resourced leading diversity learning and consultancy interventions for a variety of clients spanning an impressive portfolio of corporate and public sectors, nationally and internationally. Farrah was a pioneer in developing global diversity training and consulting and has worked in and delivered to clients and delegates in over 99 countries worldwide; her work has been experienced in 120 countries. Farrah has 24 years of experience in Diversity and Inclusion, aligning her outputs to Organisation Transformation, Leadership Behaviours and Culture Change, Behavioural Economics combined with a strategic business focused approach. Farrah specializes in working at Board, CEO and Leadership levels. Her career combines Academic rigour as Head of Consultancy Solutions for the University of Leeds, supplemented with various OD posts in Government and private sector experience for the past 16 years, developing and heading European and then Global Diversity Practices. Prior to her current position, Farrah was Managing Director with Norman Broadbent Executive Search and Selection, for five years developing and heading up their successful Global Diversity Consultancy. Amongst many achievements, one of the most recent was Farrah leading the consultancy team to design the Diversity Strategy, deliver all the diversity training amongst many other deliverables that ensured that Diversity and Inclusion were central to the development and delivery of the Olympic Games in 2012. Farrah is a regular keynote speaker at global conferences on issues of Diversity and Inclusion Leadership, Gender Intelligence, Effective Cross-Cultural Teams and Unconscious Bias both in the UK, Europe and globally. Farrah received accolades for her presentations to the World Bank as their keynote for their World Diversity Celebrations in Washington DC in March 2009 and has been a regular speaker since. She has presented to the European Union on International Best Practice in Diversity and inclusion and at Erasmus University Business School on Women in Leadership. She has pioneered the first diversity learning module delivered to International MBA students representing 70 nationalities at Warwick Business School for five years. Farrah set up a Global Diversity Network Think-Tank to provide thought and practice leadership for Global Diversity issues. Farrah holds a BA (Hons) in Organisation Studies and an MA in Policy Studies. Farrah is a member of the Chartered Institute of Personnel Development. She is also the author of ‘Understanding Diversity – An Organisational Guide which was her first book. Farrah has also contributed to ‘Understanding Dignity @ Work’. Farrah has been the recipient of numerous awards including Grattan Award winner for her work in Diversity. She was shortlisted for Asian Women of Achievement 2004/7 Corporate Category (nominated by Aviva), 2005 Opportunity Now Award for Best Example of Diversity Learning and Development for London Underground. The Aviva Toolkit won the UN World Diversity Award 2008 for Innovation and was shortlisted for UK Training Journal Awards 2008. Her Global Diversity and Inclusion consultancy for the Department for International Development was short-listed for the CIPD People Management Awards in 2009. Farrah has also been included in the Asian Power100 publication in 2009 by RBS and was recognised as one of the “Top Twenty leaders to look out for in 2010!” In 2010, Farrah received an award from Wal-Mart Mexico for her services to Global Diversity. In 2012 Farrah was the recipient of the ENEI Award for Training Excellence for her ground-breaking training on unconscious bias for Santander leadership teams globally and in the UK. She has also been recognised as one of the top 100 Pakistani movers and shakers worldwide by her inclusion in the Pakistani Power 100 2012.